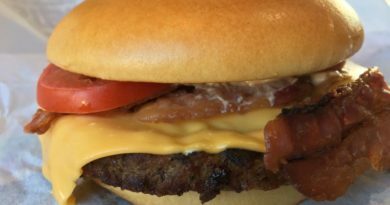 Make room for our own Bacon Double XL, featuring two signature fire-grilled beef patties topped with savoury smoked bacon and melted American cheese, all in our toasted sesame seed bun. There is no denying that the BK Bacon Double XL is a simple classic. 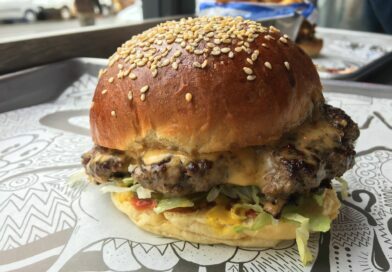 It has been on the menu since I can remember and contains everything you could possibly need in a burger. 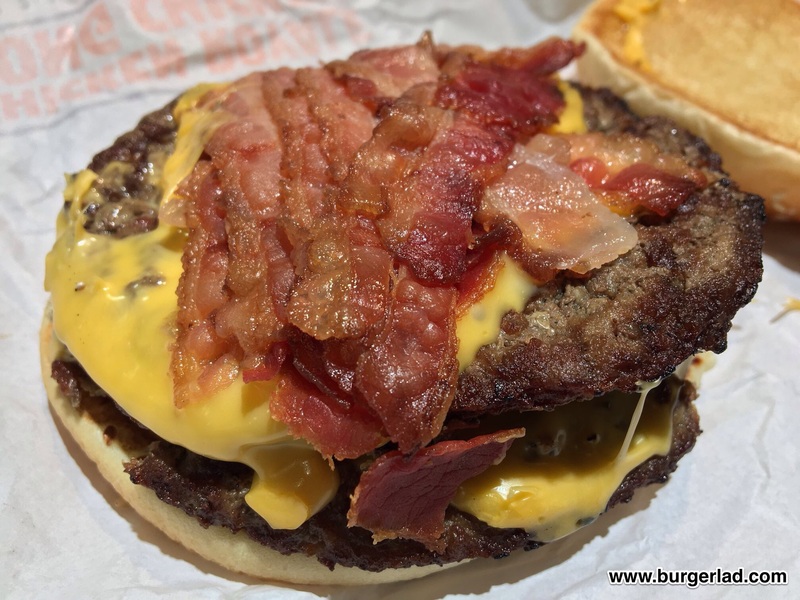 The build is made-up of two flame-grilled XL sized beef patties, plenty of American cheese and (today) a very respectable amount of bacon. The wrapper isn’t much of a looker but at 04:30am in the morning I can look past that. 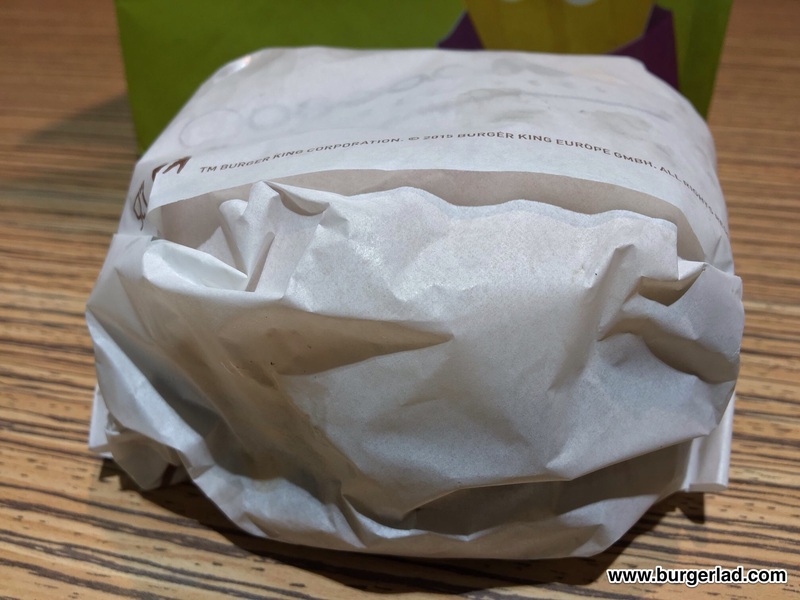 Inside, you are greeted by a bit of a monolith for the High Street – it’s a big burger in circumference and two patties should make sure you don’t go hungry! 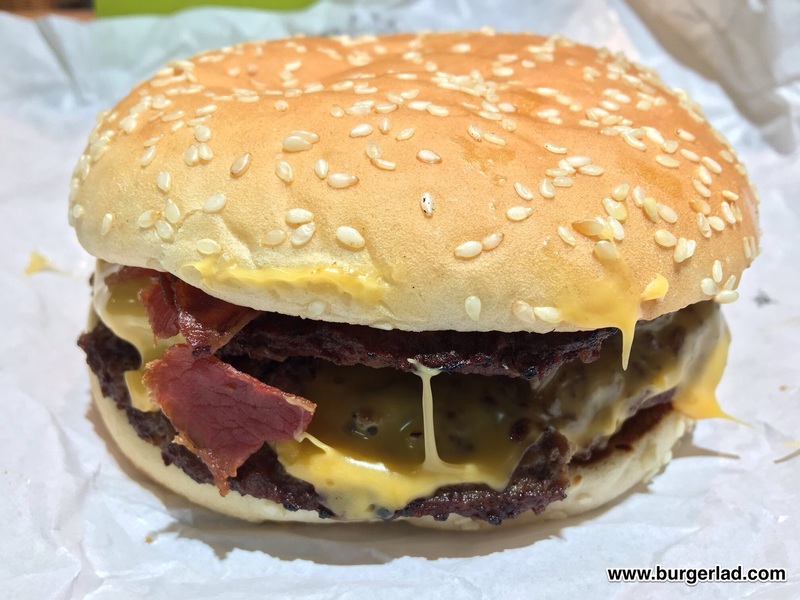 Beef, bacon and cheese. That’s it! No sauce… no mayo… no salad… no fresh tomato – just all the good stuff pressed together inside two sesame seeded buns. You can keep your brioche thanks BK. 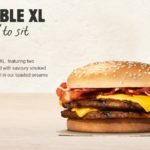 I’ve been a massive fan of the Bacon Double XL for many, many years. Pre-BL I was so fussy. I evaded all LTOs at McDonald’s and Burger King “because I wouldn’t like the sauce.” I was foolish. 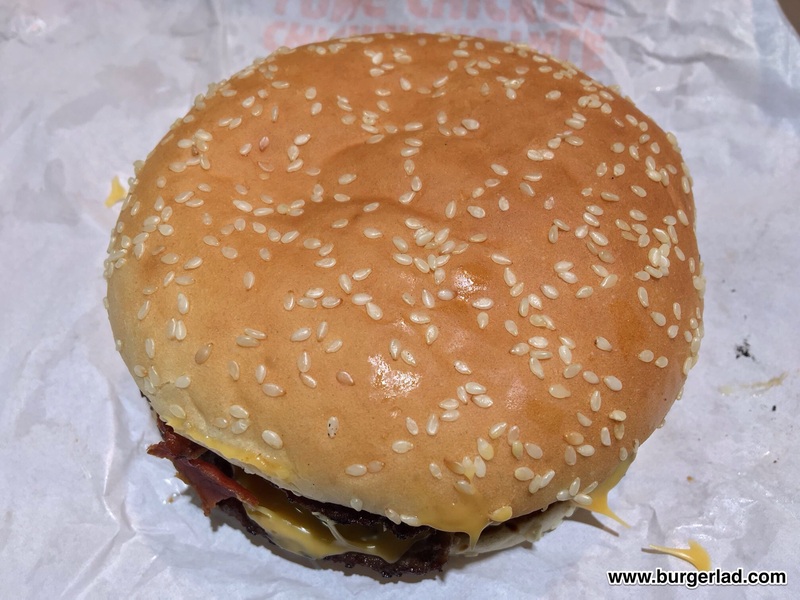 I talked more about this in my ode to the McD’s Double Cheeseburger – even to this day preferring those “plain” – hey it’s just my personal preference… and back in the day, guaranteed a fresh burger. And I’m on a plane now as I compose my semi love letter to a burger that has NEVER let me down in (possibly) 20 years. There’s no need to ask for no mayo on the Bacon Double XL. No removing of the dreaded tomato slices. No picking out pesky pickles. IMO, it is the ultimate go-to any time of the day or night for a hunger-busting meat and cheese combo. If you want salad on your burger, go hit up a Whopper. I know which one I would always opt for when making the choice. 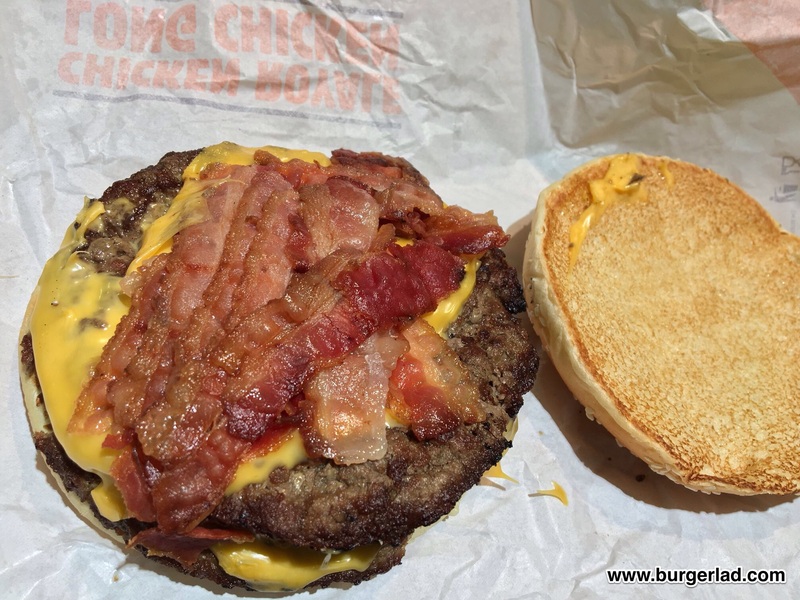 The Bacon Double XL was my burger of choice when back-packing in Australia, New Zealand and Canada because I knew it wouldn’t betray my previous finicky self. 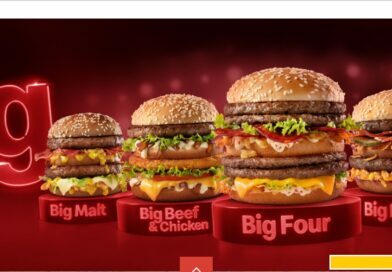 Although, from memory, I do recall the Hungry Jack’s version featuring BBQ sauce. Maybe. In retrospect, that trip does represent so many missed (review) opportunities. Oh well. 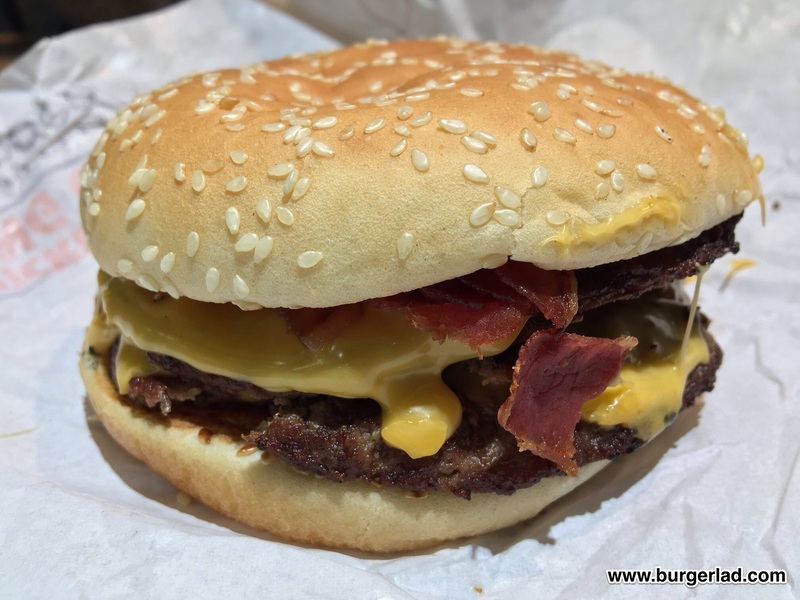 I have always had a bit of an airport tradition – eat a BK (invariably the Bacon Double XL) before flying. 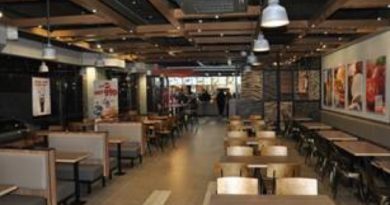 Burger King is set to return to Cheltenham in February 2019 and the XL was the first on the list to revisit/review. It is a classic. Simple but classic. This looked great but that was possibly down to the time of day and having limited customers to deal with. An airport Burger King is always going to be expensive, but we are basing our score for price on the High Street cost instead. Typically, approximately £1.20 pricier when you fly. Biting in, it is a warming glow of flame-grilled familiarity. 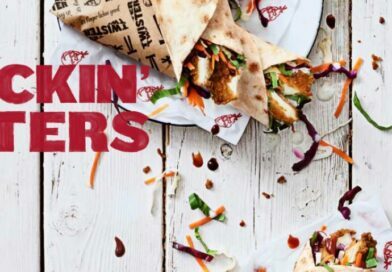 It’s perfect for the salad dodger in you. There’s no sauce either – just in case you have an aversion to mayo or can’t stand the sickly sweetness of ketchup. 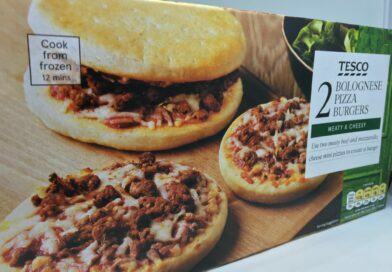 It is the perfect combination of beef, cheese and bacon. And lifting the lid, this had tonnes of the latter! And… because it’s not only an XL patty and there are two of the things, you cannot help but walk away from this feeling satisfied. 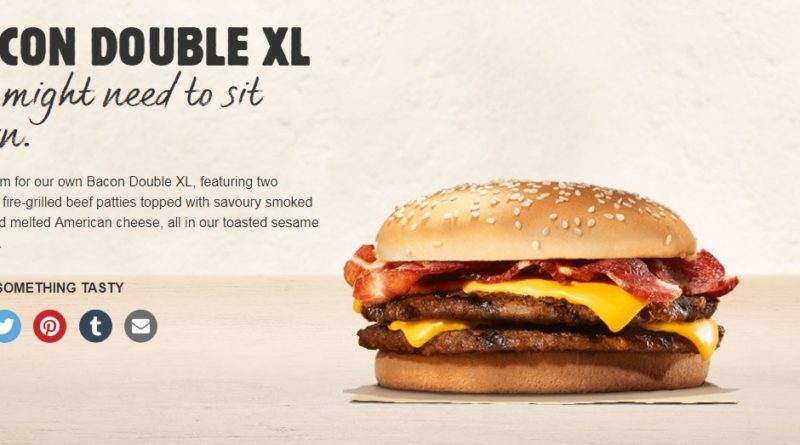 For me, the Bacon Double XL is a timeless classic which to this day has never let me down. 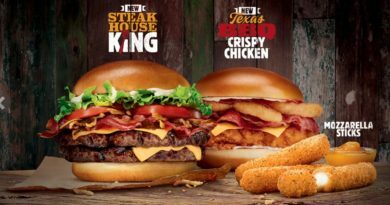 BK has added many different LTOs to its menu in the past with various toppings, sauces and coloured buns but there is a definite reason why this is a menu mainstay. Thanks Bacon Double XL – see you next time we fly!